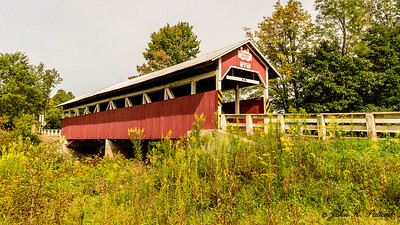 Bowser (Osterburg) Covered Bridge. WGCB # 38-05-22. Burr Arch Truss. Bobs Creek. 90 feet long 12 feet 4 inches wide. Bedford County. PA. JPat_151019__D3S9296. 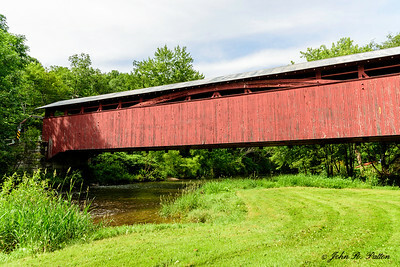 Colvin (Calvin) Covered Bridge. WGCB # 38-05-24. 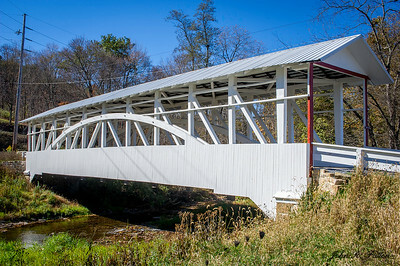 Multiple Kingpost Truss. Shawnee Creek. 66 feet long 12 feet 3 inches wide. Built 1880. Bedford County. PA. JPat_170628__D811974. 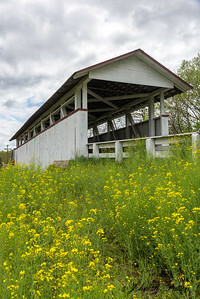 Diehl's (Raystown) Covered Bridge. WGCB # 38-05-19. Burr Arch Truss. 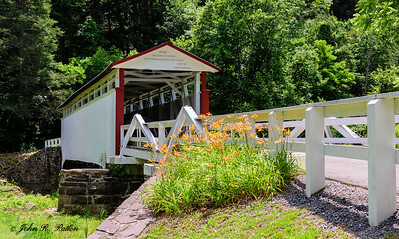 Raystown Branch. Juniata River. 88 feet 4 inches long 12 feet 10 inches wide. Built 1892. Bedford County. PA. JPat_170628__D811937. 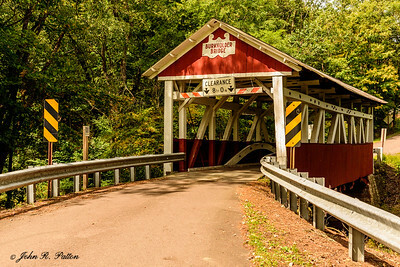 Glessner Covered Bridge. WGCB # 38-56-08. 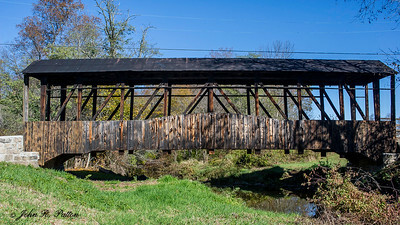 Kingpost Truss. Stony Creek. 90 feet long, 12 feet wide. Built 1881. Somerset County. PA. JPat_170911__D813933. 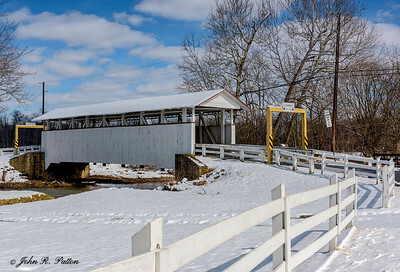 Glessner Covered Bridge. WGCB # 38-56-08. Kingpost Truss. Stony Creek. 90 feet long, 12 feet wide. Built 1881. Somerset County. PA. JPat_170911__D813952. 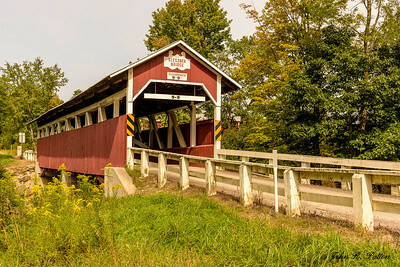 Glessner Covered Bridge. WGCB # 38-56-08. Kingpost Truss. Stony Creek. 90 feet long, 12 feet wide. Built 1881. Somerset County. PA. JPat_170911__D813965. 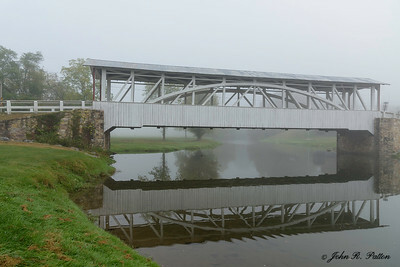 Jackson's Mill Covered Bridge. WGCB # 38-05-25. Burr Arch Truss. Brush Creek. 91 feet long 15 feet wide. Built 1889. Foggy morning. Bedford County. PA. JPat_170927__D814735. 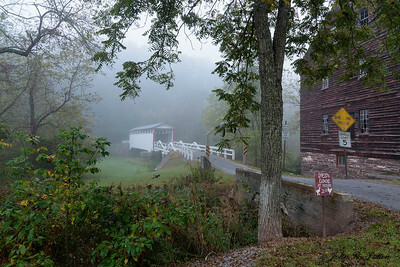 Hall's Mill Covered Bridge. WGCB # 38-05-15. Burr Truss. Yellow Creek. Foggy morning. 91 feet long 12 feet 6 inches wide. Built 1872. Bedford County. PA. JPat_170927__D814844. 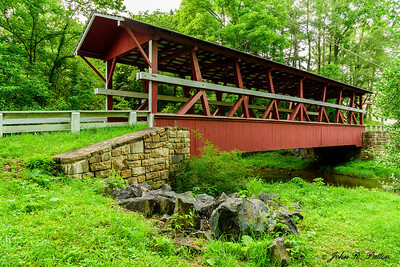 Heirline Covered Bridge. WGCB # 38-05-11. Burr Arch Truss. 136 feet long 8 feet 10 inches wide. Built 1902. Rebuilt 1996. Juniata River. Bedford County. PA. JPat_170628__D811928. 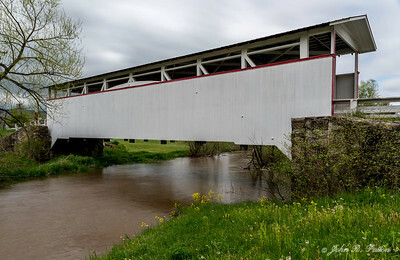 Heirline Covered Bridge. WGCB # 38-05-11. Burr Arch Truss. 136 feet long 8 feet 10 inches wide. Built 1902. Rebuilt 1996. Juniata River. Bedford County. PA. JPat_170628__D811934. 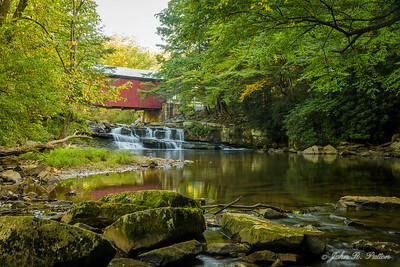 Jackson's Mill Covered Bridge. WGCB # 38-05-25. Burr Arch Truss. Brush Creek. 91 feet long 15 feet wide. Built 1889. Bedford County. PA. JPat_170628__D811880. 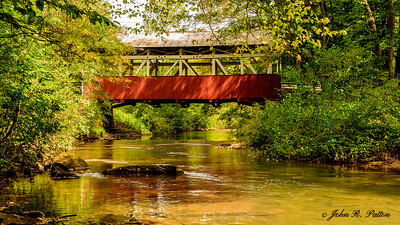 Jackson's Mill Covered Bridge. WGCB # 38-05-25. Burr Arch Truss. Brush Creek. 91 feet long 15 feet wide. Built 1889. Foggy morning. Bedford County. PA. JPat_170927__D814708. 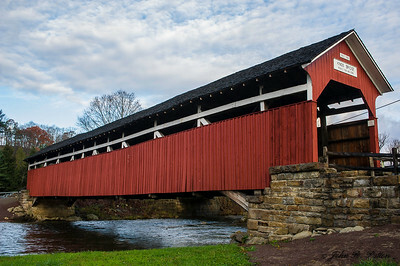 King's Covered Bridge. WGCB # 38-56-06. Burr Arch Truss. 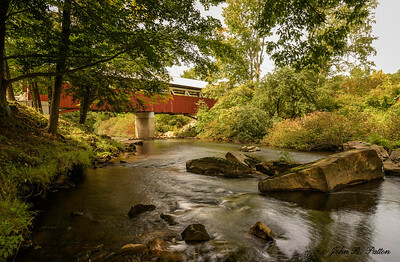 Laurel Hill Creek. 127 feet 4 inches long 12 feet 4 inches wide. Somerset County. PA. JPat_151029__D3S1088. 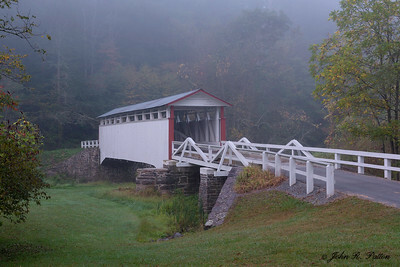 Pack Saddle Covered Bridge. WGCB # 38-56-02. Kingpost Truss. Brush Creek. 48 feet long 14 feet wide. Built 1870. Somerset County. PA. JPat_170911__D813495. 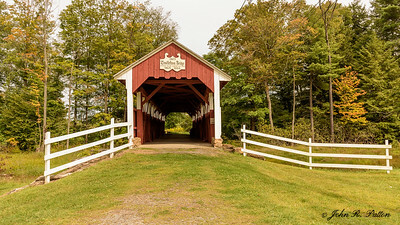 Pack Saddle Covered Bridge. WGCB # 38-56-02. 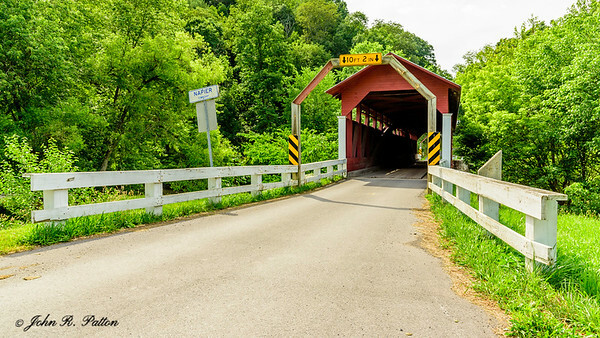 Kingpost Truss. Brush Creek. 48 feet long 14 feet wide. Built 1870. Somerset County. PA. JPat_170911__D813511. 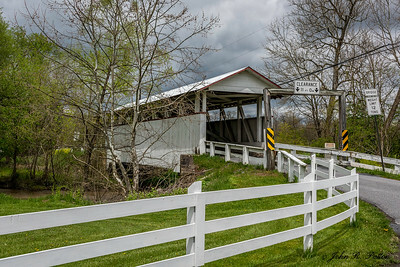 Ryot Covered Bridge. WGCB # 38-05-17. Burr Arch Truss. Dunnings Creek. 75 feet long 12 feet wide. Built 1867. Restored 1995. Rebuilt 2004. Bedford County. PA. JPat_170628__D812047. 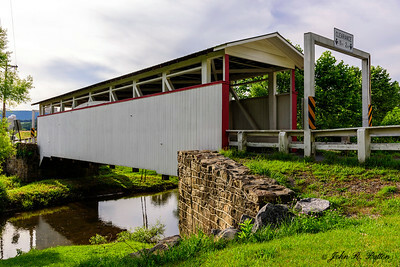 Trostletown Covered Bridge. WGCB # 38-56-10. 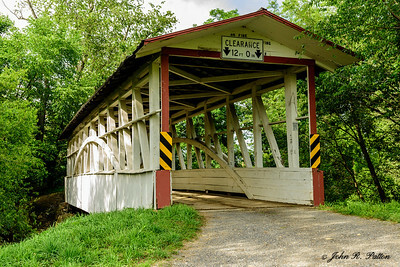 Kingpost Truss. Stony Creek. 104 feet long 12 feet 6 inches wide. Built 1845. Restored 1965. Somerset County. PA. JPat_170911__D813868. 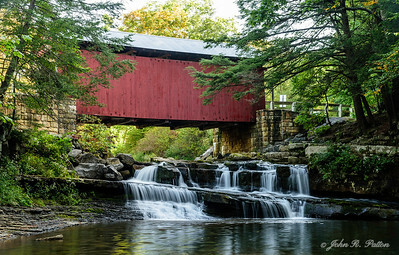 Snooks Covered Bridge. WGCB # 38-05-23. Burr Truss. Dunnings Creek. 75 feet long 7 feet 8 inches wide. Built 1883. Bedford County. PA. JPat_160505__D814643. 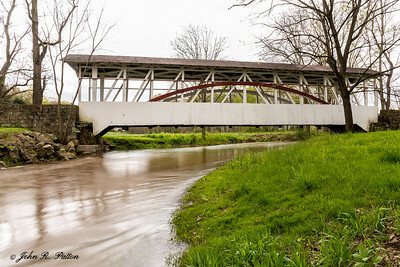 Beechdale, Burkholder Covered Bridge. WGCB # 38-56-01. Burr Truss. Buffalo Creek. 52 feet long 12 feet wide. Built 1870. Somerset County. PA. JPat_170911__D813784. 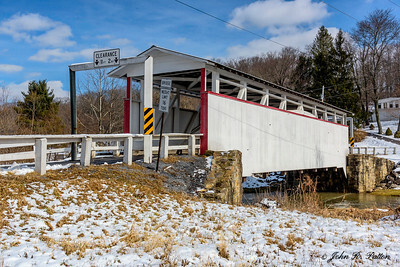 Beechdale, Burkholder Covered Bridge. WGCB # 38-56-01. Burr Truss. Buffalo Creek. 52 feet long 12 feet wide. Built 1870. Somerset County. PA. JPat_170911__D813751. 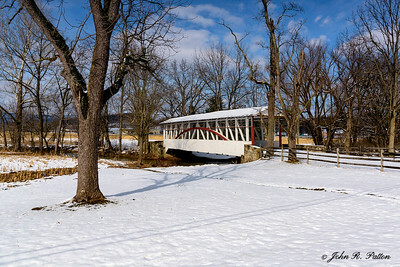 Dr. Knisley Covered Bridge in winter.